Simon organises this every year. A load of cyclists meet at a pub, have a drink, ride to another pub, have a drink, ride to another pub….well you get the idea. The last pub visit normally involves chip butties. I met them a bit late at pub number 3 and downed a pint. After one pint of Flat Cap (a local brew) I started to feel drunk – clearly I’m a proper lightweight these days. 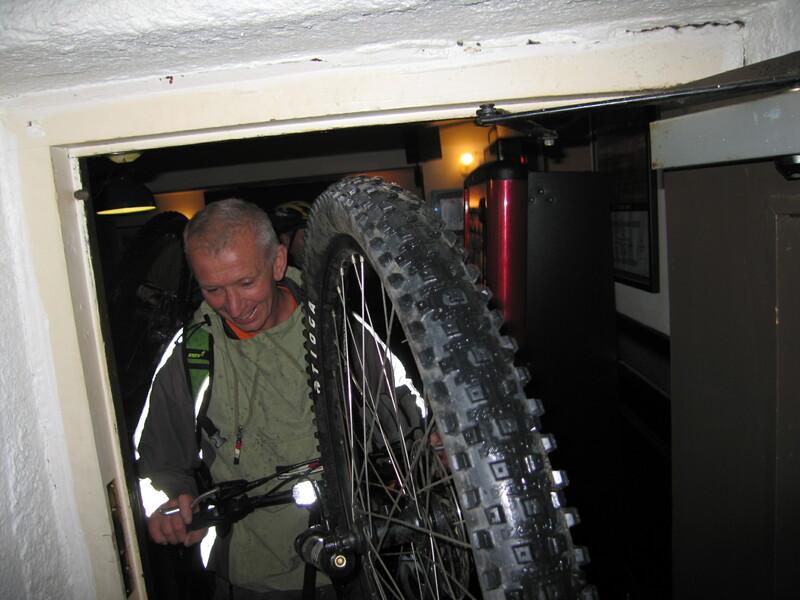 A ride down some nice singletrack and some woods where a few crashes took place brought us to the next boozer. Another pint, then off to the next one. This part of the route was extremely wet and boggy and by now it was dark, there are about 17 riders snaking across the moor with only 5 lights between them and the lights aren’t that good either! The last downhill to the final pub along the road was fun, especially watching Simon on the singlespeed, legs spinning like billy-o at about 300 rpm. Following the group at 30mph, one hand on the bars and the other holding the camera was probably a bit reckless but I’d had 4 pints by now so I was The Best Rider In The World and even if I’d crashed, I would come to no harm. 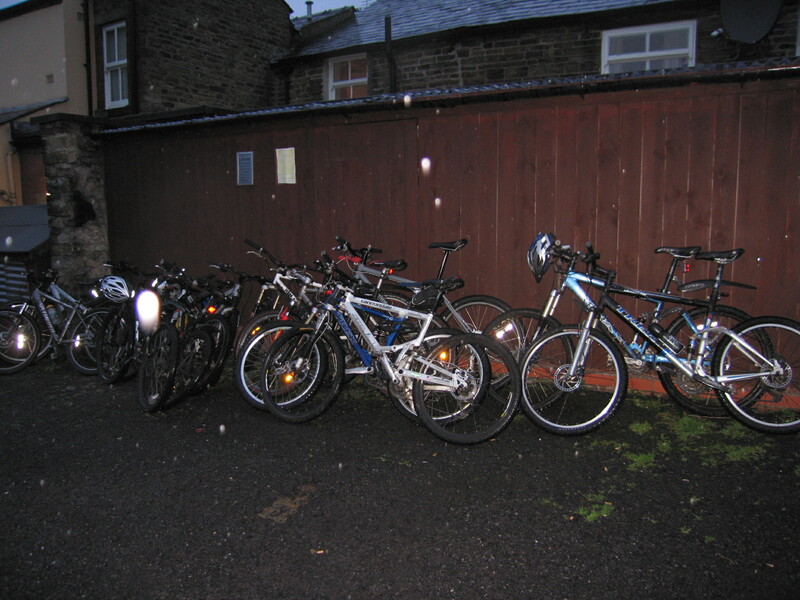 Then we all wheeled our muddy bikes through the crowded pub! You’d not get away with that at Deansgate Locks. Another pint, some butties and I’m off back home again, 20 miles along the road – very slowly, feeling a bit sick and stopping every 5 minutes for a wee. At least there’s not much traffic at 1am. Sounds like a great ride, which pub let you wheel your muddy bikes through it though? It’s the pub with the greatest jukebox ever. It’s even got Sonic Youth on it!